December 6, 2018 Minnesota Twins signed free agent 2B Jonathan Schoop. November 30, 2018 2B Jonathan Schoop elected free agency. August 1, 2018 Milwaukee Brewers activated 2B Jonathan Schoop. May 8, 2018 Baltimore Orioles activated 2B Jonathan Schoop. May 7, 2018 Baltimore Orioles sent 2B Jonathan Schoop on a rehab assignment to Frederick Keys. May 5, 2018 Baltimore Orioles sent 2B Jonathan Schoop on a rehab assignment to Norfolk Tides. May 4, 2018 Baltimore Orioles sent 2B Jonathan Schoop on a rehab assignment to Bowie Baysox. April 14, 2018 Baltimore Orioles placed 2B Jonathan Schoop on the 10-day disabled list. Right oblique strain. July 5, 2015 Baltimore Orioles activated 2B Jonathan Schoop from the 60-day disabled list. July 2, 2015 Baltimore Orioles sent 2B Jonathan Schoop on a rehab assignment to Frederick Keys. June 19, 2015 Baltimore Orioles sent 2B Jonathan Schoop on a rehab assignment to Bowie Baysox. September 3, 2013 Baltimore Orioles recalled 2B Jonathan Schoop from Norfolk Tides. 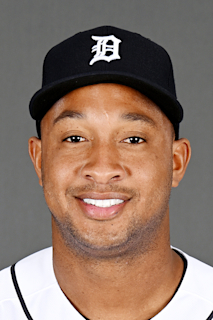 July 26, 2013 Jonathan Schoop roster status changed by Norfolk Tides. July 23, 2013 Norfolk Tides sent 3B Jonathan Schoop on a rehab assignment to Aberdeen IronBirds. July 11, 2013 Norfolk Tides sent 3B Jonathan Schoop on a rehab assignment to GCL Orioles. May 14, 2013 Norfolk Tides placed 3B Jonathan Schoop on the 7-day disabled list. March 23, 2013 Baltimore Orioles optioned 3B Jonathan Schoop to Norfolk Tides. November 20, 2012 Baltimore Orioles selected the contract of Jonathan Schoop from Bowie Baysox. April 5, 2012 Jonathan Schoop assigned to Bowie Baysox. March 24, 2012 3B Jonathan Schoop assigned to Baltimore Orioles. July 13, 2011 Frederick Keys activated 3B Jonathan Schoop from the temporarily inactive list. July 9, 2011 Frederick Keys placed 3B Jonathan Schoop on the temporarily inactive list. June 5, 2011 3B Jonathan Schoop assigned to Frederick Keys from Delmarva Shorebirds. September 8, 2010 SS Jonathan Schoop assigned to Bluefield Orioles from Frederick Keys. September 1, 2010 Jonathan Schoop assigned to Frederick Keys from Bluefield Orioles. July 16, 2010 Jonathan Schoop assigned to Bluefield Orioles from GCL Orioles. June 21, 2010 Jonathan Schoop assigned to GCL Orioles. December 31, 2009 DSL Orioles released SS Jonathan Schoop. May 30, 2009 DSL Orioles signed free agent SS Jonathan Schoop.